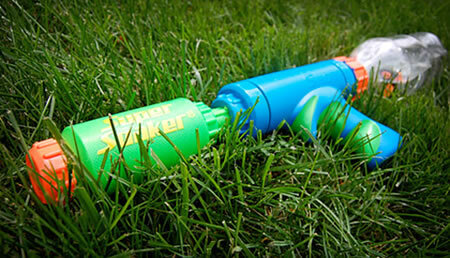 The traditional Super Soaker allows you to fill the reservoir with air, which in turn creates a pressurized blast of water. This would not be a safe option as common plastic bottle risk an explosion caused by the pressure. But at just $7.99, this one’s a must have for the Summer time.